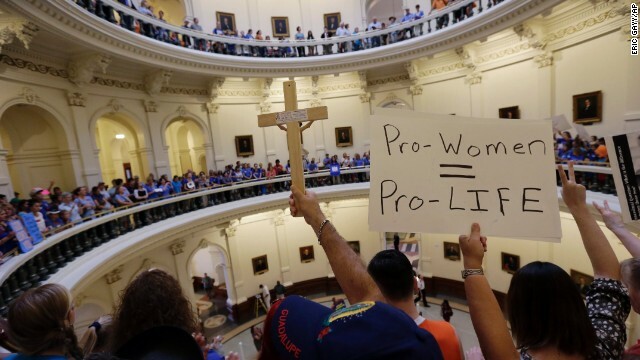 (CNN) – A prominent Virginia Republican, Ken Cuccinelli, said embattled New Jersey Gov. Chris Christie should step down from his new role as chairman of the Republican Governors Association. 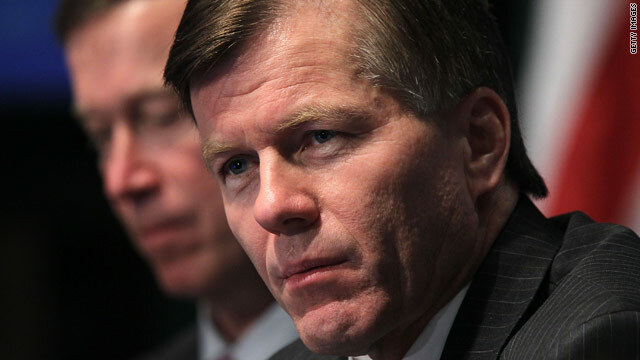 The former Virginia attorney general and 2013 gubernatorial candidate said current investigations into suggested political misconduct by top Christie administration appointees would hinder his ability to successfully campaign for GOP candidates. CNN’s POLITICAL GUT CHECK | for January 21, 2014 | 5 p.m.
(CNN) - Former Virginia Gov. Robert McDonnell, once a rising star in the Republican Party who was considered potential presidential material, was indicted along with his wife on Tuesday on federal charges of accepting illegal gifts. The 14-count indictment, culminating a lengthy investigation of their relationship with a Virginia business executive, alleges fraud by a public official, false statements, and obstruction. 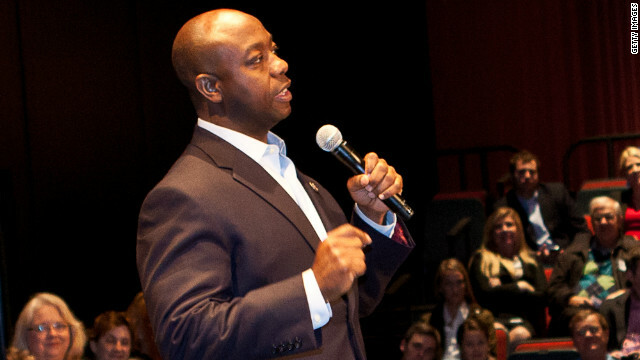 (CNN) - Sen. Tim Scott declined Tuesday to "reflect seriously" on comments made by a civil rights activist who accused Scott, the only African-American Republican in the Senate, of being a puppet for the tea party. "Instead, I will honor the memory of Dr. King by being proactive in holding the door for others and serving my fellow man," Scott said in a statement. "And Rev. (William) Barber will remind me and others of what not to do." 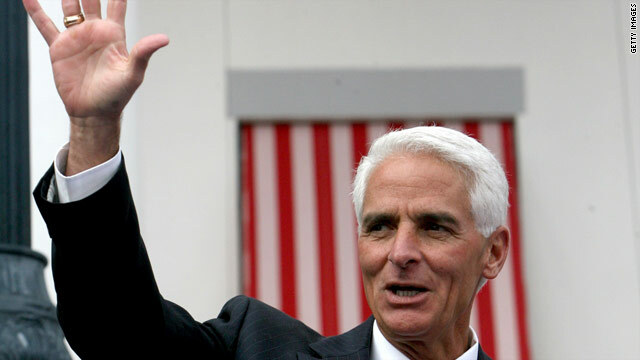 Washington (CNN) - A buzzy new political documentary coming to Netflix won't do much to heal Charlie Crist's reputation as an unprincipled, say-anything politician. “Mitt,” debuting on Netflix this Friday, chronicles Mitt Romney’s two campaigns for the White House with intimate behind-the-scenes footage and candid interviews with the candidate and his family. (CNN) - In the wake of ongoing controversies, Gov. 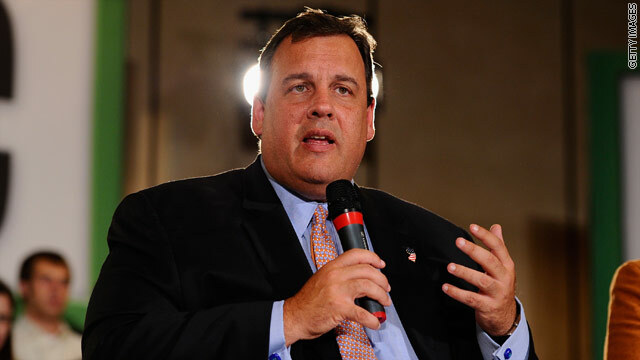 Chris Christie's losing ground to a potential 2016 Democratic presidential opponent and to possible GOP rivals, according to a new national poll. A Quinnipiac University survey also indicates that Christie's standing among voters has dropped, as the Republican Governor from New Jersey has faced multiple controversies the past two weeks, including investigations of the closing of access lanes to the George Washington Bridge, allegedly carried out by top Christie aides as punishment for a New Jersey mayor who didn't endorse Christie's 2013 re-election. 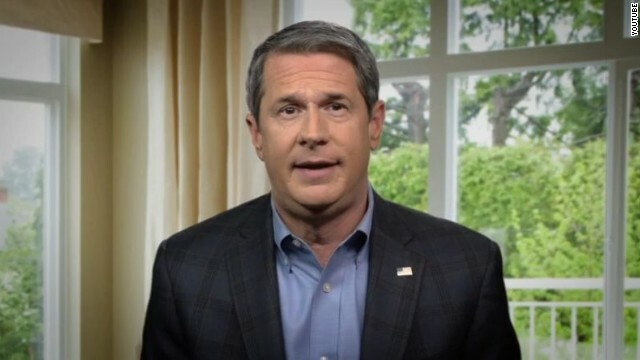 (CNN) - Sen. David Vitter of Louisiana announced Tuesday that he's running for governor of his state in 2015. "I believe that as our next governor, I can have a bigger impact addressing the unique challenges and opportunities we face in Louisiana," the two-term Republican lawmaker said in a video release by his campaign. (CNN) - First lady Michelle Obama shows off her basketball moves in a new video with The Miami Heat, last year's NBA champions. 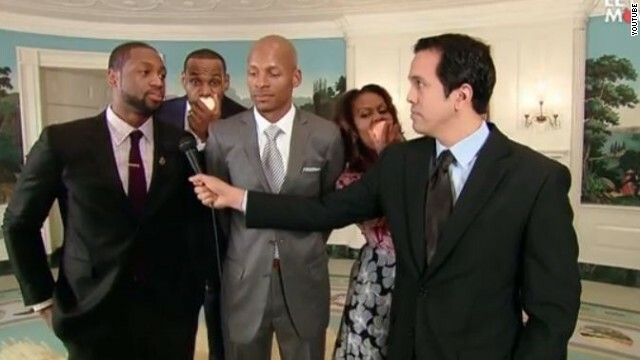 Released by her "Let's Move" campaign against obesity, the video features the first lady giving tips about healthy eating and drinking water with stars LeBron James, Dwyane Wade, Chris Bosh, Ray Allen, and coach Erik Spoelstra. (CNN) - Donald Trump says he's worried about his friend, Chris Christie. "He's a friend of mine. He's a good friend of mine. He's a good guy, but you know, he's one email away from a disaster," said Trump, at an event Tuesday morning at the New Hampshire Institute of Politics.